Thanks. I very proud to represent Bear Archery and their tradition of bow hunting. I wouldn't worry to much about the Fulton County giants. Most guys that hunt that area are very picky and wont shoot a young deer just for the challenge. Most of em are trophy first and challenge second. I don't think I've ever seen that 1 inch line stretched as much as I've seen this yr. I'm going to propose a new rule change, all points must be at least 1 1/2 inches. That may help some of you not in Dekalb, Gwinnett, or Fulton. We got one to match'm now.. Daddy show'd out!!!! Dang, the old mans showing off. 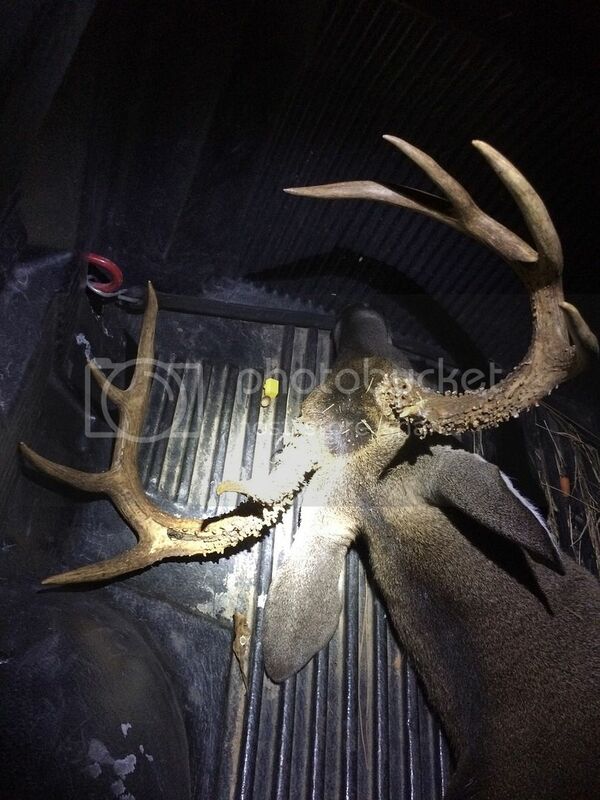 Nice buck ! The rut is on boys!! Shot him the afternoon of 17th but after looking at the arrow it was a little grainy, gave him several hours and found him early morning on the 18th. Dangit, now the young guns are showing out. Y'all take it easy on us. Mcnasty you did it again. Get em dog. I appreciate the kind words men. Been one of those seasons to remember. 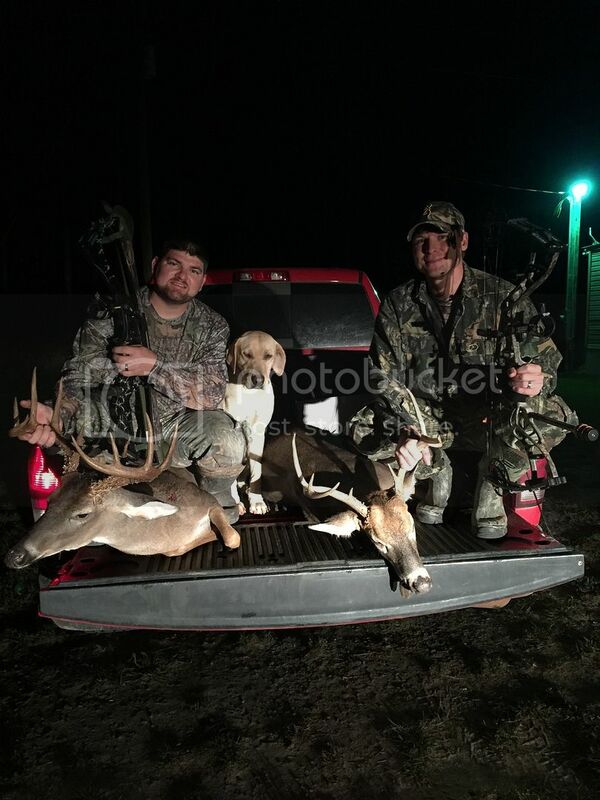 I have to brag on my brother for a minute it's his first year bow hunting and I was probably more happy the other night when we found his first bow buck than when we found mine. The wife wasn't happy with me for getting her out of the bed late but it was worth capturing the moment. Probably something we'll never do again.